Update WordPress and W3 total cache plugin error | It`s full of stars! WordPress is easy to update … if everything works. I updated my WordPress version many times without problems, patches are installed automatically. Only minor versions I do install manually. Last time I updated, an error happened. Luckily, not for my users, the public site was up and running. My admin site (wp-admin) was broken. To be more precise: the update was not completed. While loading the update page to trigger the DB update, I got an error message: not found. I use a plugin called W3 total cache for speeding up the loading of my site. My idea was to uninstall this plugin and see if it works again. Problem: how to uninstall a WordPress plugin without being able to log in? During running an update? Of course, if you do not try, you do not learn. First step was to do a backup (yeah …). Next step was: delete the plugin manually. This I did by deleting/moving the W3tc related files. After this I accessed /wp-admin again and could complete the WordPress upgrade of the database. 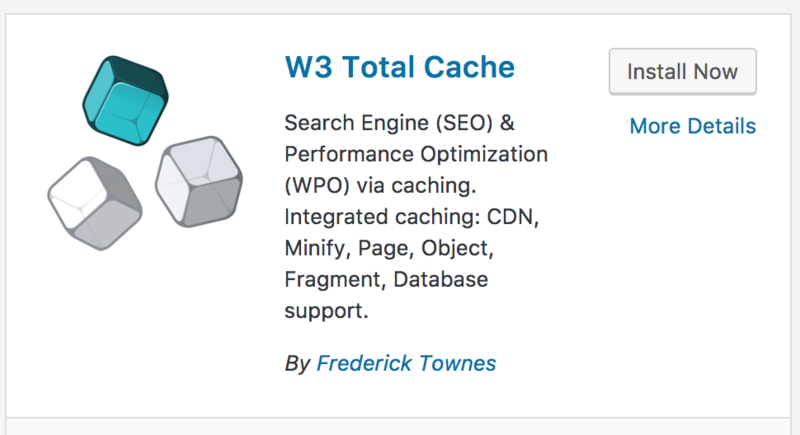 The W3-total-cache plugin was not installed anymore, so I reinstalled it. Why reinstalling a broken plugin? The plugin is (as of the writing of this text) not compatible with my WordPress version. Therefore, I only install it to remove the plugin. I did so manually and to keep my WordPress installation not a total mess, I want to delete the plugin the official way. In the dashboard > Plugins > Installed Plugins the plugin is listed. Instead of activating it, I am going to delete it. Next step is to install another cache plugin. This entry was posted in Technology and tagged cache, plugin, wordpress. Bookmark the permalink.